Zephaniah 3.14-20, Isaiah 12.2-6, Philippians 4.4-7, Luke 3.7-18; What happens when the two greatest lectionary podcast hosts get together to record an episode? Is it possible to rejoice while suffering? Are we living in the golden age of television? Should we be praying to baby Jesus? 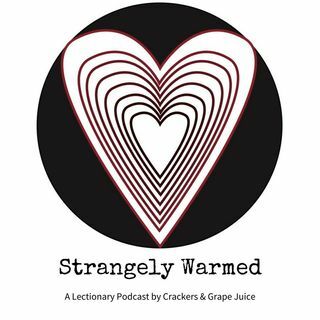 These questions and more on this episode of Strangely Warmed with guest Scott Jones (from the Synaxis Podcast).